Grief Conquers Language — Almost — In 'Where Reasons End' Yiyun Li wrote her devastating, brilliant new novel after the suicide of her son — in it, the unnamed narrator confronts the same situation, holding an extended conversation with her own dead son. When a loved one dies, so does part of our language. Conversations we've had with the dead start to fade and eventually get lost to memory; our idiolects change when part of our audience is gone. And words become insufficient and unreliable, inadequate to convey the love we had for the ones we've lost or the void created by their absence. In Yiyun Li's new novel, Where Reasons End, the narrator is forced to reckon with the limits of language after the suicide of her teenage son. "There is no good language when it comes to the unspeakable," she thinks. "There is no precision, no originality, no perfection." It's a book born of unimaginable pain; Li began writing it after her own child took his life. It's also one of the most original and most accomplished American novels of the decade. Li's novel takes the form of an extended conversation between the narrator, an author and teacher, and her son, Nikolai, who has recently died. The two speak in a kind of a liminal world, invented by the narrator, between life and afterlife, "a place called nowhere," as she explains it. "The rule is, somewhere tomorrow and somewhere yesterday — but never somewhere today." Nikolai, the reader learns, had many interests — he loved to bake, to mixed results; he had a talent for the oboe; like his mother, he loved to read. More than anything, though, he was preoccupied with words, and mother and son discuss the peculiarities of the English language back and forth, with Nikolai proclaiming his love for adjectives, and the narrator declaring her allegiance to nouns. The narrator and Nikolai challenge each other throughout the course of the novel, with Nikolai occasionally turning to cruelty to express his exasperation with his mother. "You're becoming a bad writer," he tells her at one point; he also accuses her of "being dense and gormless." It's a continuation of their relationship before his death — Nikolai points out that his mother could never beat him in an argument, which the narrator doesn't deny. "Had I argued better, would he have stayed longer in this world?" she wonders. "I didn't ask him the question. Like sadness, it was there all the time." The long conversation between the two is punctuated with the narrator's descriptions of her family's life after Nikolai's death: grief counseling, moving into a new house, buying a Christmas tree. Time, for the narrator, becomes an unbearable endurance test: "The days he had refused would come, one at a time. Neither my allies nor my enemies, they would wait, every daybreak, with their boundless patience and indifference, seeing if they could turn me into a friend or an enemy to myself." The circumstances behind Nikolai's suicide are never directly addressed in the book, although the narrator hints that she's had her own struggles with depression ("I was almost you once"). The narrator uses words like "inexplicable," "unspeakable" and "incomprehensible" often; they highlight a central theme of the book that's echoed in its last lines — not every question has an answer, and the narrator knows it. When she wonders, "Does a person commit suicide because he doesn't want to live, or doesn't know how to live?" she knows she'll never solve that particular mystery. It's hard to adequately describe how devastating, and how brilliant, Where Reasons End is. It's something like a metafiction, an essentially plotless novel that asks the reader to interrogate its language, indeed, to call all words into question. It seems almost disrespectful to say that Li is playing with language here — it would be more apt, perhaps, to say that she's wrestling with it, trying her best to forge it into a monument for her son. "We once gave Nikolai a life of flesh and blood," the narrator explains, "and I'm doing it over again, this time by words." And she succeeds, admirably. Where Reasons End is, as it must be, a profoundly sad novel, but Li never descends into mawkishness or sentimentality. She describes perfectly how the death of a loved one takes over the ones left behind, battering the survivors without rest. "The unspeakable is a wound that stays open always, always and forever," she writes, and it's harder to think of a more beautiful and painful encapsulation of what it feels like to mourn. 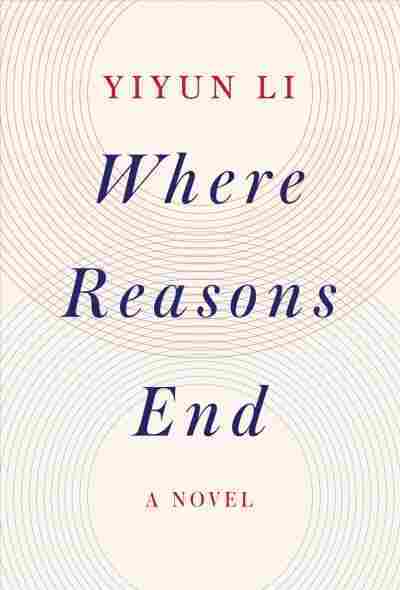 Where Reasons End is the rarest of things: a perfect book, a masterpiece of American fiction, and it proves beyond a doubt that Li is one of this country's greatest writers. It's a beautiful look at what happens when language disappears, betrays us, lets us down: "Words provided to me — loss, grief, sorrow, bereavement, trauma — never seemed to be able to speak precisely of what was plaguing me," the narrator thinks. "One can and must live with loss and grief and sorrow and bereavement. Together they frame this life, as solid as the ceiling and the floor and the walls and the doors."